Disclosure: The information, products and Publix gift cards were provided by General Mills through Linqia. This post may contain affiliate links. To see more on this, please check out my disclosure page. Thanks for supporting my site! It is hard to believe Thanksgiving is almost 2 weeks away! Time for turkey, pumpkin pie, and all of our favorite recipes! We are excited because my husband's grandmother will be flying in from out of state to have Thanksgiving with the family! We usually go to my husband's parents house and my mother-in-law is an amazing cook! Heat oven to 350. Roll out crescent dough into 2 big rectangles. Flatten each rectangle with a rolling pin. Spoon 1 tbsp. of ranch on each rectangle. Then, sprinkle with cheese, bacon crumbles, and basil. Roll the dough from one to the other. Then, cut each roll into 8 different slices. Place each slice, cut size down on an ungreased baking sheet. This will yield 16 slices. Bake for 12-17 minutes. Once out of the oven, spray lightly with cooking spray to give it a nice glisten. Wait to cool, and then enjoy! "Pillsbury creates easy, quick-to-fix recipes designed to give you more time with family instead of fussing around in the kitchen." There will be one person who will win $10 in Pay Pal cash. The giveaway is open for people World Wide and will run from 11/9/15 to 11/26/15 at 11:59 pm. Best of luck to all who enter! Thanks for the giveaway Kelly! Have a splendid day ahead. I want to try the apple pie crescents! They look delicious! I'd like to make some dumplings. I like Sausage Crescent Cheese Balls. I would love to make the Easy 3-Ingredient Jalapeno Crescents! I want to try the Apple Pie Crescents. Your bacon cheddar pinwheels look delicious, b ut I also love the looks of the Apple Pie Crescents. They both sound like they'd be great tasting. I want to make dumplings! Yum :) It is definitely not Thanksgiving around my house without Pillsbury in the oven! The Bacon Cheddar Pinwheels would disappear pretty fast. The bacon cheddar pinwheels sound yummy! Thanks for the giveaway! I would love to make the apple pie crescents! You make baking look so easy and something that I could actually do! P.S. Thank you for posting this giveaway to my giveaway linky! Oh I would love to make the Apple Pie Crescents! Those would be great to bring for thanksgiving dinner! Your pinwheels look so fun!! I have to try those too! 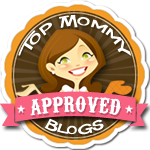 I forgot to mention -this is one of our featured posts for Friday's linky on FrugalMommas.com - congrats! I want to try the Apple Pie Crescents! YUMM...these look delicious! Apple pie crescents look great too! I would love to make a homemade pumpkin pie for Christmas this year! It sounds soo good! I would love to make the Easy 3-Ingredient Jalapeno Crescents!! We love jalapenos at my house!! I've never met a crescent-roll appetizer I didn't like! So glad you linked up at Friday Frivolity this week! I would like to try the apple pie crescents. The recipe that you posted, looks pretty darn good! I also really like the Sausage Crescent Cheese Balls. It sounds so yummy, and I love that they would be so easy to serve/eat. We have a lot of football parties so these would be perfect for that. I like basic cinnamon rolls. The cornucopias are super cute, we would make those. I personally like to take brown sugar ham, muenster cheese, and muster, layer them on the crescents and roll up and slice. Bake, they are delicious! I'd like to try the Bacon Cheddar Pinwheels. They look yummy! I'd like to try the Sausage Crescent Cheese Balls. I just bought Pillsbury crescent roll dough today! I'd like to try the Bacon Cheddar Pinwheels. I wanna try the Easy 3 Ingredient Jalapeno Crescents! Looks awesome! I love to make cream cheese/sausage roll ups with crescents! I'd love to try the Sausage Crescent Cheese Balls recipe! The bacon cheddar pinwheels are awesome! I want to try the bacon cheddar pinwheels! I think the Apple Pie Crescents sound divine and so easy to make! I think the Sausage Crescent Cheese Balls look pretty appetizing. I would really love to try the Apple Pie Crescents recipe. I would love to try the recipe for sausage crescent cheese balls....Yum! 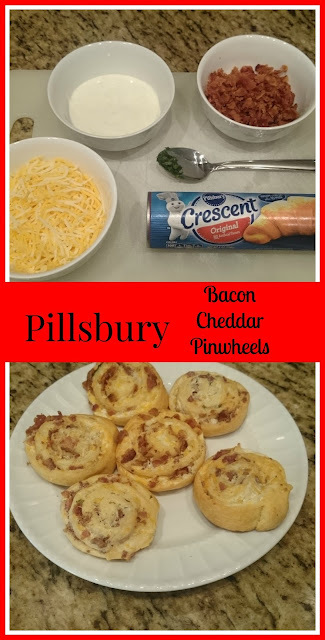 I would love to try the Bacon Cheddar Pinwheels!! I might even switch up the cheese by adding some different flavors! I would love to make the Apple Pie Crescents. They look delicious! I want to try bacon cheese crescents. I love bacon and cheese. I really want to try the Apple Pie Crescents! I think it will be perfect recipe for a family celebration!! - Ashley R.
I want to try the Apple Pie Crescent Rolls. These look so good and I will definitely be making them soon. I also want to make the Apple Pie Crescents because they are my favorite. I have made the Sausage Crescent Cheese Balls and they are delicious. It's a family favorite. I would like to try making the Bacon Cheddar Spinwheels. I want to try to make the Sausage Crescent Cheese Balls also. Glad to hear they were good. Thanks for commenting, Tammy and best of luck in the giveaway! The sausage crescent cheese balls look good. I would love to try the Sausage Stuffed Crescent Cornucopias! Not only will they look festive, but they definitely seem like they would taste great! To me, it only makes sense to make the food a centerpiece at your holiday table and this recipe would be a great side or appetizer! The Bacon Cheddar Pinwheels sound delicious and so easy to make! They would make fun appetizers for a party, or just simple lunches! We would love the Easy Three-Ingredient Jalapeño Crescents! I wish I would've checked out their site before I went to the grocery yesterday. They have several things i'd like to try. I guess we'd try the sausage crescent cheese balls first...they look really good. My boys would love the sausage crescent cheese balls. Great twist on the sausage ball idea. I'd love to make the Apple Pie Crescents! They look so easy, but so yummy! The Apple Pie Crescents look so good! Would love to try them!